How do you enforce bedtime for a 6-year-old who’s begging you to let her read two more pages? You don’t. Or, at least, I don’t. Vanessa gets so excited about what she’s reading that I have a really hard time telling her she has to stop. I mean, it’s not like she’s staying up way past her bedtime. I’m just allowing her to stay up an extra half an hour or so. And, you know what? I’m totally fine with that. I’ve had a love affair with books ever since I can remember. First, in Spanish. Then, as I became bilingual, in English. Now, it depends on the mood I’m in. (Currently in my Kindle: “The Fault in Our Stars” by John Green and “Óscar y las mujeres” by Santiago Roncagliolo.) So nothing makes me happier than seeing my daughter get lost in books the same way I’ve always done — especially because she reads a fair share in Spanish which, as we all know, is one of the best ways to expose bilingual children to the minority language. Reading to them from day one. I know everyone tells you it’s a good idea to do it, but I can honestly say this is the biggest reason why my kids love books so much. Even though many of the baby books I got when Vanessa was little were in English, I just translated the simple text or made up my own few lines in Spanish. I also made it a point to read the same 2 or 3 books over and over again. 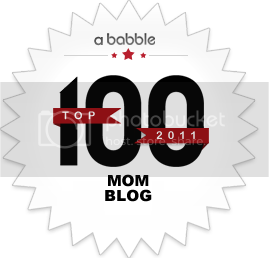 Repetition allows kids to better remember new words and thus expand their vocabulary. Even though Vanessa learned how to read last year in Kindergarten, she still loves it when I read to her — and I do too. Continue to show your kids your own love of books by reading to them even after they learn how to do it on their own. Filling our house with books. I think the only room in our house without books is the dining room. Everywhere else, there they are — including the bathroom where pretty much everyone in our family does at least some of their reading. The point is to make books accessible, so they’re an option close at hand at all times. I grew up in a house filled with books and I know it definitely helped grow my love of books. Visiting the library often. I’ve been taking Vanessa to our local library ever since she was able to sit up. At first, we’d go for storytime — even though it was in English. As she got a little bit bigger, I’d let her choose a few books to check out and I got her used to the process and the services offered at a public library. The idea has always been to surround her with books and to make them a regular part of her life. She recently got her own library card and she thought it was the coolest thing ever! Leading by example. Without a doubt, I know I became a bookworm because of the example I got at home. When I close my eyes and think of my Dad, it’s impossible not to picture him reading a book or the newspaper. I don’t read as much as I used to pre-kids, but I’ve been trying to get back to reading a lot more lately. I tell Vanessa reading is, by far, one of my favorite pastimes, but we all know that showing is better than telling. As she gets older, I think this will be of even more importance. Then again, between you and I, I think she’s already hooked for life — and I couldn’t be happier! 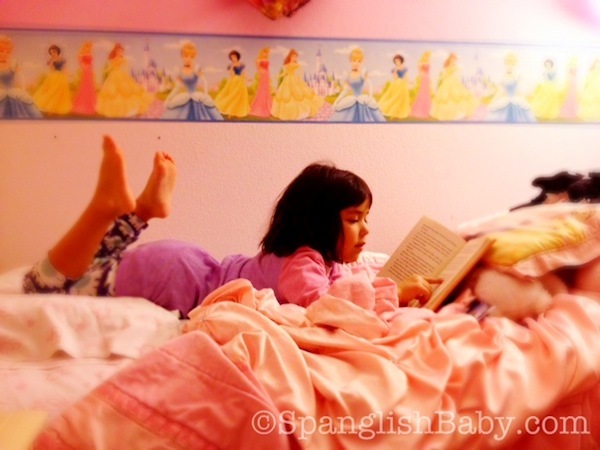 Reading in English and Translating into Spanish… at 5 years old! I feel like you tackle why your girl loves reading now but not that much how she can read in Spanish. I also have books everywhere and read to my kids every day, mostly in Spanish. But now that my daughter is starting to learn the letters and sounds I feel compelled to teach her in English so that she will not get too confused with her school. Do you think we can teach a kid how to read in two languages at the same time, like they learn to talk them at the same time? I feel like reading is not such an intuitive process like talking is. If she learns that “ee” sounds like “teeth”, how is she then going to read “reescribir”? I have a lot of Mexican friends who can talk both Spanish and English but can not read in Spanish. I wonder if you have any resources with more information on the subject. Thank you! Thanks for your comment. I didn’t tackle how I taught my daughter how to read in Spanish because I wish I could take the credit, but I can’t. As I’ve written about in the past, I struggled with whether I should teach my daughter how to read in Spanish before she started Kindergarten — since it’s supposed to be better for a bilingual child to learn to read in their dominant language. In the end — and since I had no idea how to do it and felt completely inadequate about it — I opted for letting Vanessa learn how to read right alongside all the other kindergarteners…and in English. Then, she basically just came home and started transferring all her reading skills to Spanish. At home, we just continued doing what I said in the post, but always in Spanish. I too know a lot of people who are bilingual, but they can only read and write in one of their two languages. As a journalist and a book lover, I didn’t want that for my daughter, so I’ve been taking the steps I mentioned to make sure she loves reading in Spanish too! (Same thing goes for writing). You bring up some very valid questions and, if you don’t mind, I’d like to send them over to one of our experts so they’re correctly addressed. Let me know what you think! This reminds me of how I was as a kid! I definitely hid a flashlight under my bed for late-night reading. That has to be awesome to watch her love something that you’ve always loved. great post! we’re not reading as much Spanish in my household as I’d like, but I will say that headlamps are very popular reading tools with my little ones you’ve inspired me – I’ll read to them today in Spanish! gracias. I was also raised in a bilingual house, but English was our second language. I remember my brother’s first English test at school, in 4th grade. He had to translate some words from Spanish to English, and he certainly knew them, but he wrote them like this: teibol (table), cher (chair), moder (mother)… Please check with your experts and they may have some good books to recommend too. Gracias!!! - my Spanish pronunciation and vocabulary are not perfect, but I can improve myself by just Doing it. - every day we MAKE TIME to be together, the two of us, no tv, no phone, etc. - Spanish is the language we speak in Our Home. Annie, from my experience with stepkids, nieces, nephews, as well as observing my older daughter’s many bilingual friends… Please do not worry about your daughter being confused when starting school. Some kids have more of an adjustment period than others but it is always short-term. What you are doing if you emphasize Spanish in the home when she is little is laying a foundation. It is an opportunity you do not want to pass up. As soon as she starts school, you will be amazed on a daily basis at all the things she learns, independent of you. English will come, and it will come fast and hard. My children have learned to read and write in English and Spanish simultaneously. No delays, no confusion. They are to the point where they translate both ways as they read out loud depending on the situation. They do attend a dual-immersion school because I want my children to be bilingual and biliterate. Thank you for the rich discussion. 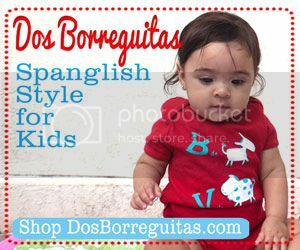 I am raising a bilingual child (Spanish/English.) 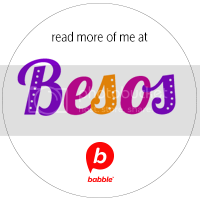 I am very interested in the discussion on how to teach my son to read in Spanish. My son will not have the opportunity to attend a bilingual/immersion school so, it’s up to me to teach him to speak and write in Spanish. He is 4 & 1/2 and speaks Spanish and English very well. I recently picked up the Hooked on Phonics K Kit for $2.99 at a thrift store. I had no idea if it would work for my son. And, if it didn’t work I figured $3 wouldn’t be that big of a loss. To my surprise, he’s learning to read very easily and enjoying the experience very much! In full disclosure, I should share that we have made time to read EVERY DAY since he was a baby so, a strong foundation has been built. I wonder if there is a curriculum like Hooked on Phonics in Spanish that scaffolds learning and phonics? I would love to see a webinar that discusses methods on teaching a child to read in Spanish (or other home language.) Thanks for your consideration. You could surely visit your expertise in your artwork you are submitting. The particular market desires for more enthusiastic writers like you who usually are not scared to talk about that they consider. Everyday adhere to your current cardiovascular system.